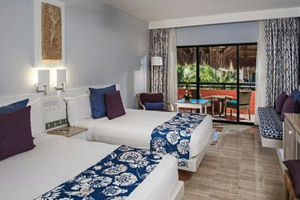 The all-inclusive, 5-Star Iberostar Tucan hotel staff is absolutely committed to making sure your stay is everything you’ve hoped for, and more. We have all the conveniences and amenities to make your stay flawless. IBEROSTAR Tucán Hotel offers 350 guestrooms with everything necessary to make your stay feel like home. Our guestrooms are divided into three main accommodations: 324 Standard Guestrooms, 24 Junior Suites, and 2 Presidential Suites. The Standard Room is a well-appointed, 377 sq. ft. room at Iberostar Tucán. This beautifully furnished suite has 2 double beds or 1 king bed, and a private balcony with either garden or jungle view. There are 2 handicap suites available in this room category. 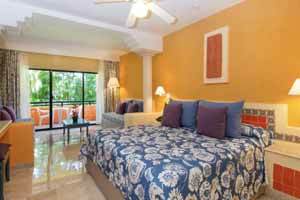 Travelers staying in the Caribbean, at the 5-star Iberostar Tucán hotel can choose the 377 sq. ft. Priority Location Standard Room which offers 2 double beds and a private balcony with garden or jungle view. 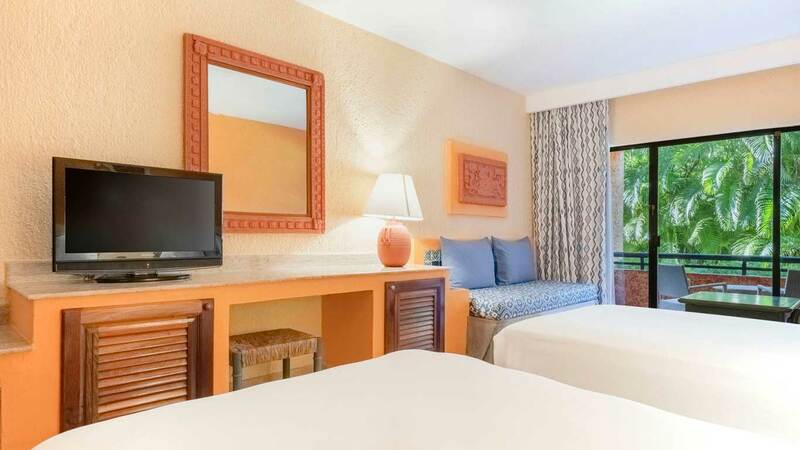 The room is conveniently situated close to the beach and pool. 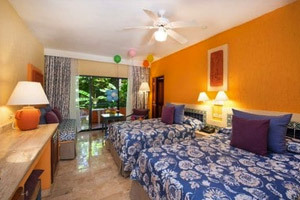 Iberostar Tucán presents this spacious, 754 sq. ft. Family Standard Room. 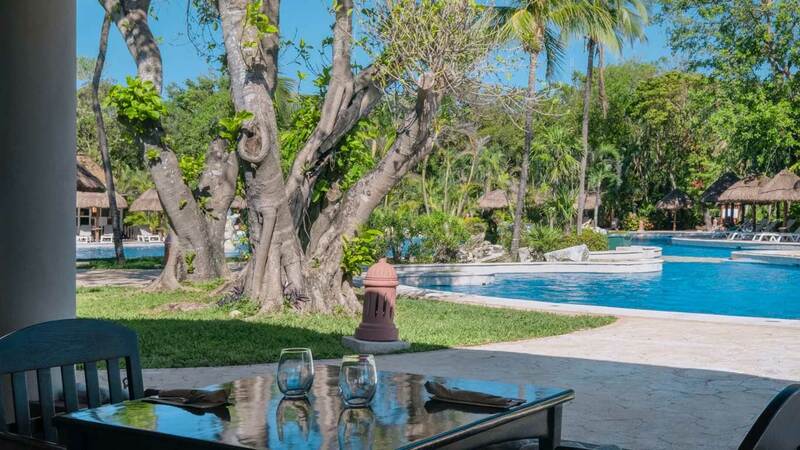 Guests staying in Mexico can enjoy 1 king bed and a guaranteed connecting room with 2 double beds, each with a private balcony with garden or jungle views and a standard bathroom. NOTE: Minimum charge, 4 adults. Required to book 2 rooms. The junior Suite has a total area of 409 sq. 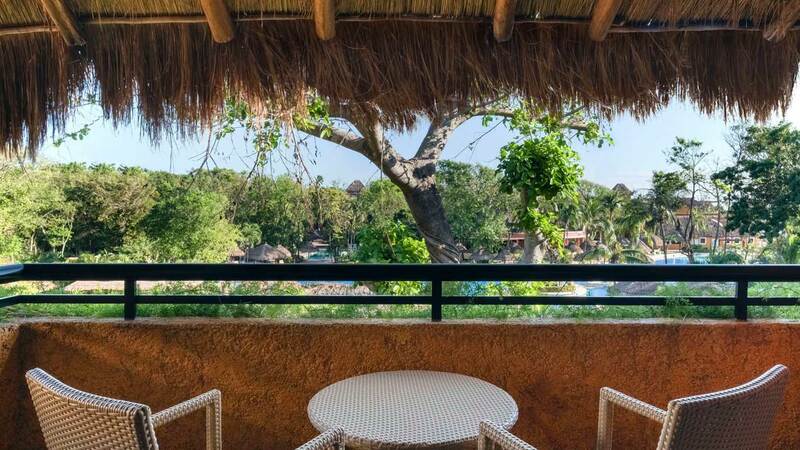 ft. Iberostar Tucán in Mexico offers this elegant room with 1 king bed, 2 double bed and an intimate private balcony with garden or jungle view. 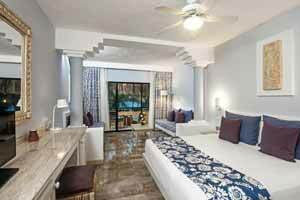 The stylish Ocean Front junior Suite at Iberostar Tucán in the Caribbean features 2 double beds or 1 king bed, a private balcony with ocean views and 377 sq. ft. of comfort and elegance. 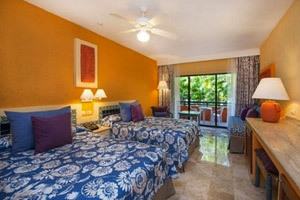 The suite is conveniently situated close to the beach and pool.